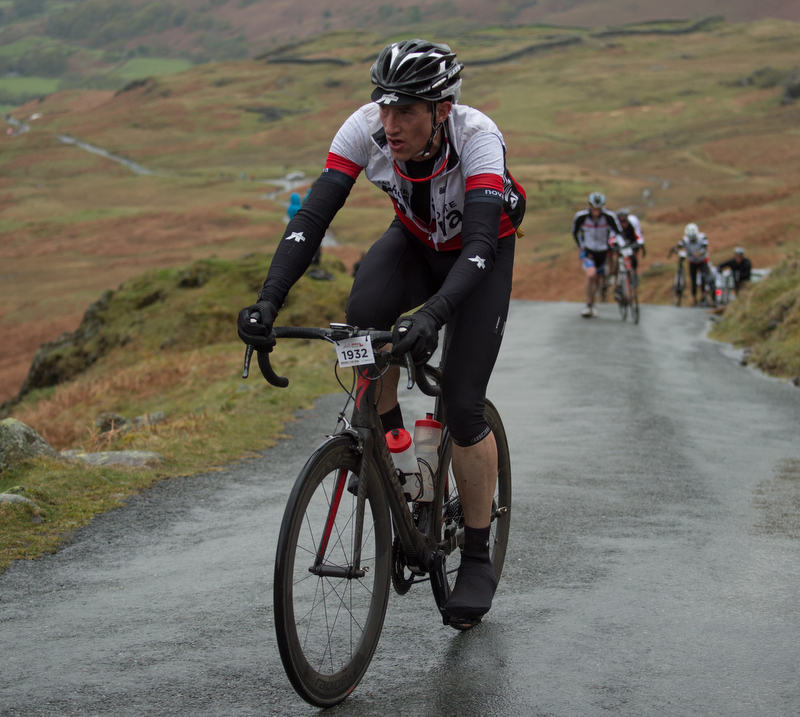 The Fred Whitton Challenge is one of the most popular sportives in the UK (there are so many entries, a lottery system is used) and is also famed as being particularly difficult. Run in honour of Fred Whitton, a former member of the Lakes Road Club who died from cancer aged just 50 in 1998, now in its sixteenth year, the event has raised almost £1m for charity. The 112 mile anticlockwise circuit starts in Grasmere and takes in every Lakeland pass: Kirkstone, Honister, Newlands, Whinlatter, Hardknott and Wrynose. The “Fred” is an ultra challenging ride not just because of the relentless steep climbs, but also because of the very steep and technical descents – often with poor road surfaces and hair pin bends. The design of the route also means there is no opt out along the way – once you start, it’s 112 miles to the end. For the 2015 event, the weather was kind to the 2,400 riders as they set off. Nova’s Tom Denwood completed the route in an incredible 6:09:31 – the fifth fastest finisher. Simon Ketteringham got round in 6:32:56. 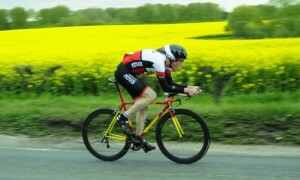 Mike Worden’s ride was spoilt by two punctures, leaving him with a 90 mile solo ride to finish in 7:08:54. Bryn Bevan recorded 7:46:49 and Richard Pennock’s dad Mike, 69, who only took up cycling a couple of years ago, rode up every climb and completed the epic ride in 11:06:39. 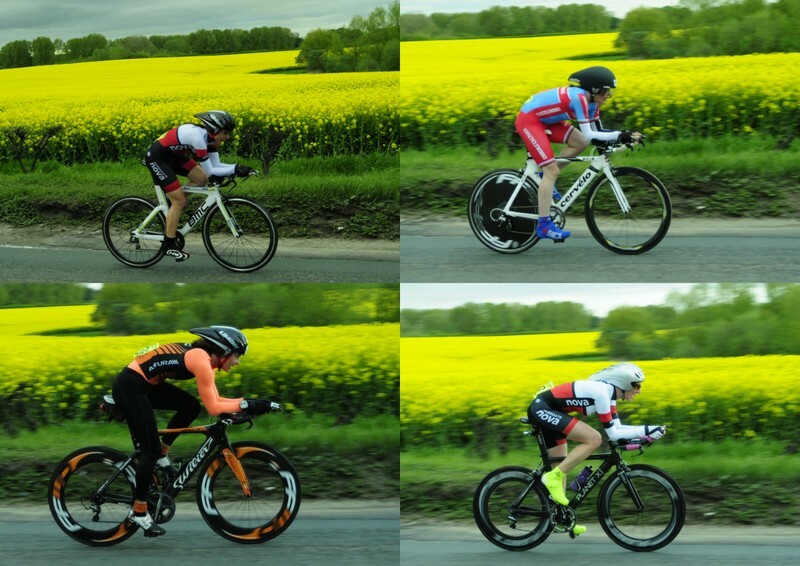 It was ladies night at the third round of the evening TT league, with all seven women taking part in the event setting personal best times on the Kirby Hill-Dishforth-Sharow-Ripon Racecourse circuit. Early starter Corrine Mitchell, last week’s winner, equalled the course record with a time of 31:08 for the twelve mile route, lowering Alison Sarmiento’s lady Veterans record by over a minute. 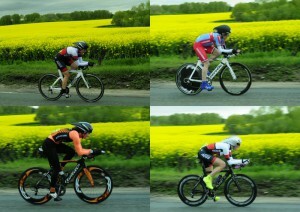 Later in the evening, Jess Bacon, York Cycleworks, smashed the ladies course record with a stunning ride of 29:41. Ele Haresign clocked 31:04 – bettering the previous course record, but only good enough for second place on the night. Alison Sarmiento also lowered her best time for the course to 32:19 to finish in fourth place. In the men’s event, the race was won and lost on the final two and a half mile climb from Ripon Racecourse to Skelton Windmill. 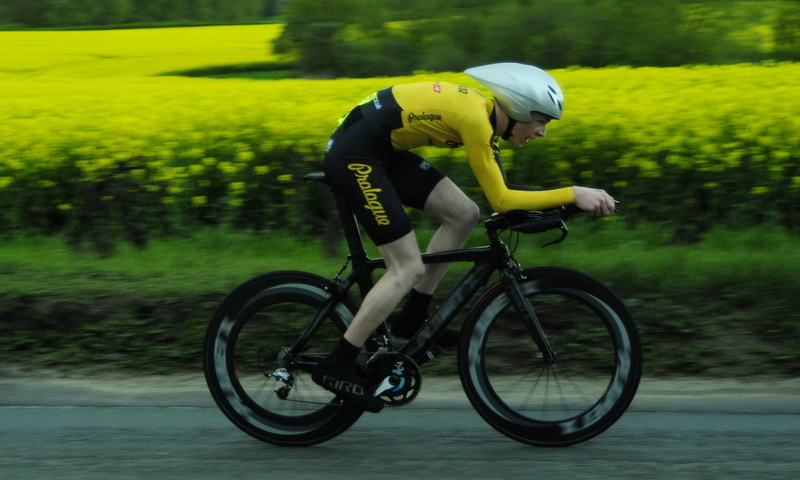 Unofficial timings from out on the course showed league leader Duncan Mullier going into the climb with an eighteen second advantage over Prologue Racing Team’s nineteen year old Julian Varley. However, Varley showed the climbing prowess which gained him a silver medal at last year’s National Hill Climbing Championships finishing in 26:37, taking Mullier’s course record, as well as the win. Mullier finished as runner up, for the first time in eighteen league appearances, with a time of 26:51. Tom Denwood, in his first league event, posted 27:24 to finish third, with Al Mitchell in fourth with 27:30. Mitchell had been ten seconds up on Denwood before the final climb; however Denwood’s recent Sportive exploits gave him the edge up the final drag. Dave Morris pipped Simon Cave to fifth spot by gaining fourteen seconds on the climb to finish with 28:05. Tim Jarvis was again the best placed Vet-50, finishing just inside the top ten with a time of 28:42. Walter Wilkinson was the best placed Vet-70 with 30:23 and Mike Bowman the best placed Vet-60 with 32:44. Bobbin Gardner was the fastest junior with 30:52. Ollie Bevis was again the quickest of the riders on non-specialist machines recording 29:54. Matt Dalby made the biggest improvement in time knocking over two and a half minutes off his previous best for the course to record an excellent 28:45 in tenth place. Richard Hamilton and Ted Sarmiento swapped the Wednesday Evening TT League for a trip to Keighley to take part in the Yorkshire Cyclo-Cross Association summer cross event. Taking to the start line with 150 competitors, after 45 minutes of furious racing on the technical twisting course, Richard placed 67th overall in the over-14 year old category, and Ted 74th. 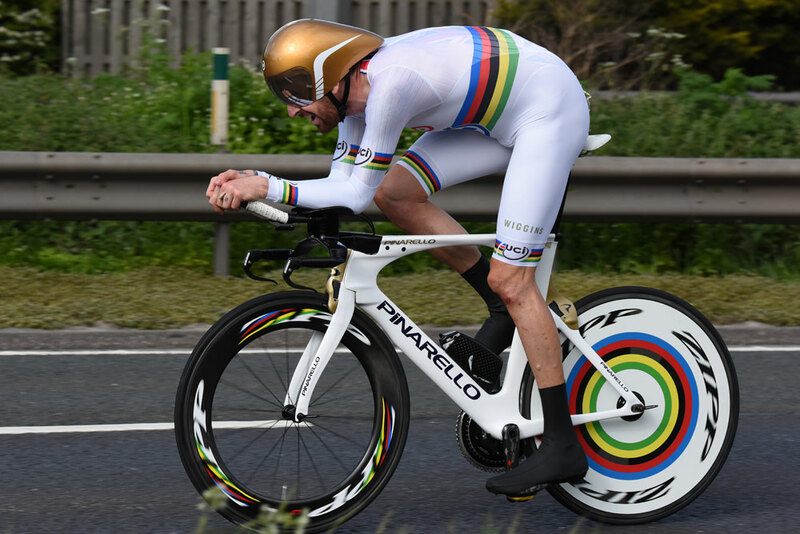 In open time trials, Sir Bradley Wiggins failed in his attempt to break the national 10-mile TT record at the City Road Club event on the V718 course near Hull. The former Tour de France winner, Olympic Champion and current World Time Trial Champion comfortably won the event with a time of 17:58, 38 seconds behind Alex Dowsett’s best. Harrogate Nova’s John Tiffany, who started seven minutes before Wiggins, was unable to hold him off, and was caught with just a mile and a half to go. Speaking after the event John said “That was hard. I didn’t get a PB, but I’m quite pleased with my time of 26:22 considering the year I’ve had [with injury]. The wind was very tough today, but the crowds were fantastic – two deep at the start, and every bridge and lay-by full. They cheered us all.” Patron’s Glen Turnbull also took part in the event, recording 21:37 to finish 18th out of the 128 riders who completed the course. In the Ferryhill Wheelers 25 mile event on the T254 course (Leeming-Baldersby-Leeming), Richard Hamilton placed 18th in a time of 57:19, behind Darren Gee, Teesdale CRC, who won with 52:12. At the Sheffrec CC 25 mile TT Steve Smales was sixth with 55:55 behind winner Nigel Haigh, Strategic Lions, who recorded 54:03. 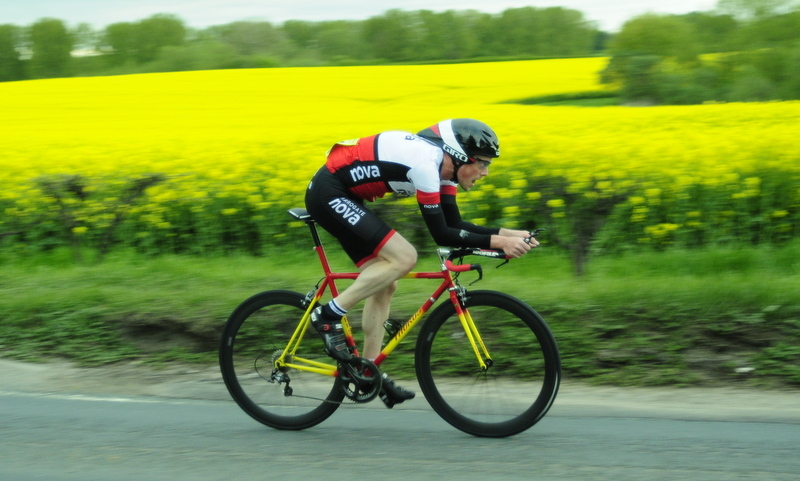 Ted Sarmiento took part in the Tyneside Vagabonds CC 47 mile mountain time trial in Northumberland, battling 25mph westerly winds (with gusts up to 45mph), making the 60th running of the event one of the toughest days in recent memory. Official times to follow.